One of the leading texts in the field, Tourism Management is the ideal introduction to the fundamentals of tourism as you study for a degree, diploma or single module in the subject. 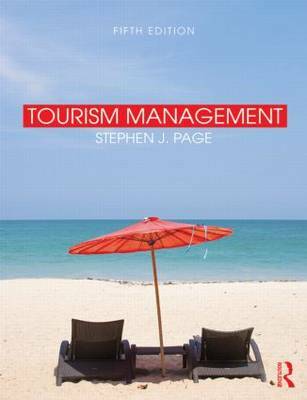 It is written in an engaging style that assumes no prior knowledge of tourism and builds up your understanding as you progress through this wide ranging global review of the principles of managing tourism. It traces the evolution and future development of tourism and the challenges facing tourism managers in this fast growing sector of the world economy. This book is highly illustrated with diagrams and colour images, and contains short case studies of contemporary themes of interest, as well as new data and statistics. new content on: sports, festivals and event tourism, social media impacts on tourism and the effects of the global economic downturn on tourism, as well as emerging themes in tourism such as slow travel, dark tourism, volunteer tourism and medical tourismupdated case studies on BRIC markets and new case studies from the Middle East and Asiaenhanced tourism and sustainable development coverage, which runs throughout the book as a major theme, highlighting the challenge of climate change and future tourism growthtransport section with more international perspectives from China and South Americaan updated companion website with: additional case studies, quizzes, PPTs, further reading, web reading and video links, and longer reflective case study per chapter to aid both teaching and learning.